My friend is dead. Why isn’t gun control part of the Black Lives Matter platform? 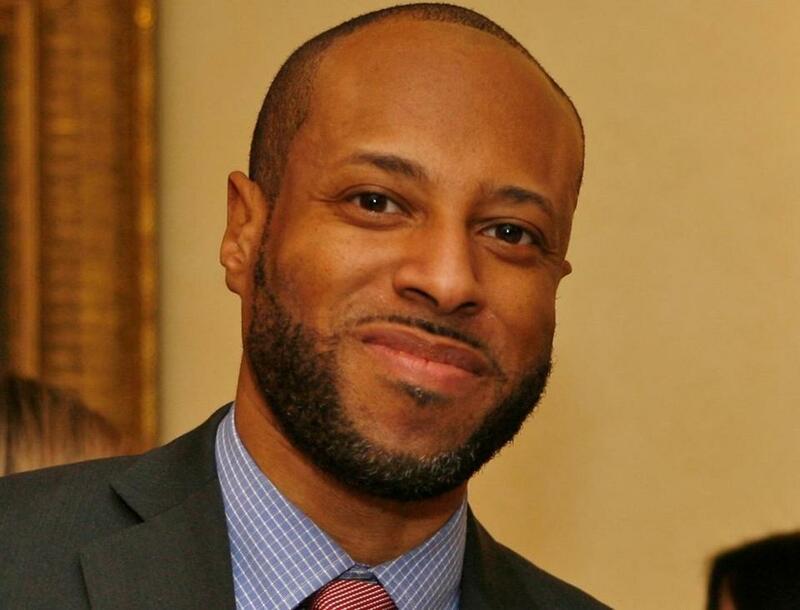 Hours after this column was published, The New York Times reported late Wednesday night that Carey Gabay died. He was 43. Today I saw the latest news: He’s been announced brain dead. In a year of spectacular shootings — a white supremacist kills nine black people in a church and a black journalist kills two white colleagues on live TV — getting caught in the crossfire between two rival gangs seems almost mundane. But I’m stunned by the reality that is what we’ve come to view as acceptable here in America. From what I can tell, there have been no marches for Carey. Had he been shot by a police officer, there almost certainly would have been. His name would be another hashtag — like Michael Brown and Eric Garner. I get it: Police officers have a duty to protect us. We pay them. We have every reason in the world to hold them to a higher standards than a Crip or a Blood. But why do black lives seem to matter most when they are taken by white police officers? Is a death at the hands of a gangbanger with bad aim any more acceptable? Why do we explain such shootings away, like an embarrassing stain on our living room carpet? I applaud the Black Lives Matter movement for calling attention to the festering problem of police shootings, which have taken the lives of 980 Americans this year, including at least 74 unarmed black people. But I don’t understand why gun control is not on their agenda. The recently-released Campaign Zero, set up by Black Lives Matter activists, presents 10 policy solutions — including better training, body cameras, limits on the use of force, and independent investigations of police killings — to curb the violence. Good on them for proposing solutions, many of which are solid ideas. It fails to mention that the big difference between the United States and those countries is not body cameras, or police training, but gun laws, plain and simple. There are reportedly only 77 handguns in civilian possession in the entire nation of Japan. And in London, police officers don’t even carry guns, because the likelihood that they will need one is almost nil. The idea that we can compare ourselves to places like that — and be more like them, with just a tweak here or there in our police training — is a fallacy. Can we improve the situation? Sure. But can we end police shootings altogether without addressing underlying issues of gun violence in this country? I don’t think so. Black Lives Matter activist Deray McKesson, who is involved in Campaign Zero, sees racism as the main underlying issue. “Their primary excuse/justification [for the shootings] is an expansive ‘fear’ of black skin,” he tweeted when I asked him about it. To be sure, racism plays a role. But plenty of white people are getting shot by cops, as data on the Campaign Zero website reveals. And a racist police officer who isn’t carrying a gun (like those in Britian) and officers who can’t claim that they thought you were carrying a gun (like those in most of the rest of the world) don’t pull the same kind of shenanigans that we’ve seen here in the United States. The fact that so many people have guns — and use them against police officers — is the main reason (or excuse) that police officers give to explain why they took a life. It’s a reason that so few are punished for doing so. There are, of course, good reasons to avoid the gun control debate. If you think gun control is impossible, why waste time on it? That’s missing the forest because of the trees. The climate of fear — both real and imagined — created by our concealed-weapon culture takes its toll on black people far beyond the realm of policing. According to the Centers for Disease Control and Prevention, 11,208 people died in firearm-related homicides in 2013. Of them, 6,442 were black. Two-hundred-eighty-one people died from stray bullets or accidental discharges that year. Forty-three of them were black. For every life cut short by a stray bullet, there are countless lives that are circumscribed in immeasurable ways: kids who aren’t allowed to play outdoors; mothers who give up jobs on streets they deem risky; students who drop out of school rather than run the gantlet of guns. But this is still perhaps the greatest disparity of all in America: Some kids grow up in fear — not just of the police, but of stray bullets — while other kids grow up with the luxury of never having to worry about getting shot. That’s why 78 percent of blacks support tougher gun laws, compared to less than half of whites. The desire for stricter gun laws might be the one thing that the black community and police departments everywhere have in common. Except that Black Lives Matter activists aren’t sold on it. I wish they’d reconsider, and send the message that Carey Gabay’s black life matters, too.